Bethesda has finally released it’s all online Fallout but maybe it needed a little more time and a few interesting characters. Fallout 76 is a massive step in another direction for the series, coming away from the layout of Fallout 4 that had a game full of life and quests to do. Fallout 76 is a fully online game with no NPC’s, no interesting stories or tasks, instead the game world is just filled with other real life players and the quests are either given through robots or computers. While this is Fallout 76’s newest and most different feature from Fallout 4 it’s also it’s worst. The lack of NPC’s leaves a real feeling of emptiness while playing, the games stories are told through recordings which feature survivors of the blast but sadly and conveniently they have all now passed, if this wasn’t the case and we had just a few survivors to help and complete quests for Fallout 76 would have had so much more to offer! While I can see what Bethesda were trying to do by having only real life players in the game, creating a realistic post apocalyptic world it really doesn’t feel like it’s working! The game worlds feel completely dead! Bumping into other players is actually pretty rare more often than not if you do it will end up with the pair wanting different things from the game. Some players will most likely want to experience Fallout 76 as a single player experience, sticking to the quests and trying to complete what story and levelling along the way, others however will see it as a full on shoot on sight experience, not wanting to join up as a team or trade instead just wanting to kill on sight! Bethesda has however put something in place that will aid the players that just want to play through the story, both players have to participate in combat for it to actually effect health, if one player shoots another it will be very limited damage until the other player retaliates and shoots back, from then the killing begins! This is a good feature for players wanting to not get involved in PVP but not so much for players that are just there to kill everything. It is a strange system and does take away alot of the combat because you just never know if you shoot someone weather they will wait and then go back at you when you least expect it. I personally prefer sticking to the story and didn’t really want to get involved in the combat with other players but this is where the system can sometimes fail, on a couple of occasions I had been shooting at AI enemies only for another player to stand in front of my shot which then engaged me in combat. The system does work to a certain extent and I am happy Bethesda tried to please both types of player but it does have it’s flaws much like most of the game! Aside from the game world being a little dead something that has to be mentioned is the bugs! Fallout 76 is a game absolutely full of bugs, some minor and some major! I have held off reviewing for a couple of weeks in hope of a patch which did come and fixed a few issues but there is still some serious work that needs to be done to sort everything out. The frame rate even on the Xbox One X chugs along at terrible speeds as well as constant issues with enemies getting stuck, as well as yourself on invisible walls and rocks! 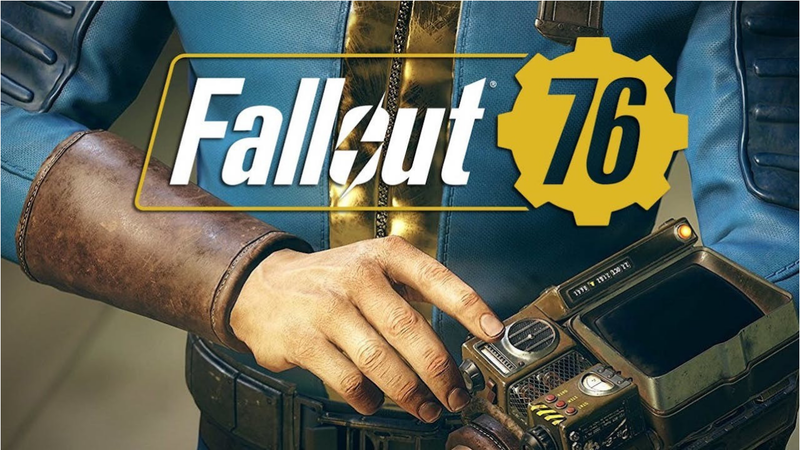 Fallout 76 currently can only be described as a mess, a few bugs were always to be expected with a game so large but this really does feel unacceptable especially for the games full release, It honestly feels like it’s still in B.E.T.A which is a real shame especially for anyone that has gone out and pre-ordered it! The visuals are also a bit of a let down with Bethesda still opting to carry on using the old game engine which is now really start to show it’s age sadly! There is a real lack of detail throughout especially compared to some of the big hitters this year like Red Dead Redemption 2. It’s by no means the worst looking game in the world and some of the lighting effects are actually impressive, it’s just the overall detail throughout the world, small bushes, trees, rocks and just about everything you come across lacks any real detail, the visuals are just really starting to show their age. Performance also suffers which is surprising for a game that’s not exactly groundbreaking visually. I don’t think I have ever wanted a game to be released so much and been so disappointed, the weird thing is though I do want to keep coming back for more! I don’t know if this is in the hope that something will suddenly change or the game will just come to life but I really don’t want to hate the game! I can so far say I am really disappointed with how things have started but hopefully with some work something can be done! The game world while dead is huge and plenty of places to explore, things do improve a little if you can explore with a crew as it doesn’t all feel quite as dead! The game should have been PVE it just feels right working together rather than against each other and it’s when I personally have enjoyed my experience most. When exploring it can feel like a mad rush to loot everything before the other player but Fallout 76 works in the same way as something like Destiny 2 with each player getting their own loot which is a good thing buts its always funny to see a new player running like a mad man trying to loot everything before the other player when it actually makes no difference at all. The PVP aspect of the game just doesn’t feel worth it, the rewards are minimal and don’t warrant the amount of work that has to be put in to achieve it. The major downside to the whole multiplayer experience for me however is the fact that everyone will need to do the selected quest, the quest progress isn’t shared and each member of your team will need to do their own bit of the quest to progress to where you are in the quest. The combat feels much like the Fallout of old with weapons all feeling different because of their type, weapons will also need to be maintained and kept or they will break down and leave you right in the ****. V’A.T.S is also back in Fallout 76 but it’s very different to what players are used too, with the game being fully online it wouldn’t be possible to slow time for one player and not the other so the slowing of time has been removed. V.A.T.S now basically aims at the target for you and gives a percentage of the chance of a hit on the target, definitely not as good as the old V.A.T.S but it wasn’t possible to have that system with the way the game is now so it’s better than nothing at all and can still help you out of tight spots. Enemies come in all sorts of shapes and sizes with some really interesting ones to say the least but it is the AI that really lets them down, it is so basic and laughable at times, mainly down to path finding and how they get to you! Your character that is fully customisable from the start will need to be kept healthy and well while exploring the wastelands with both food and drink needed to keep them going strong, eating certain foods or drinking certain drink will result in a radiation percentage being added to the end of your HP bar limiting the amount of HP your character can actually recover. The radiation can be removed with Radaway giving a full health bar but this is something you will be constantly keeping on top of with certain areas on the wasteland also giving your character radiation. Cooking foods and boiling water at the cooking station is a good way to limit the amount of radiation your character gets but you will definitely need to keep stocked up on Radaway! These constant needs can really hinder progress and do actually get annoying after a while as does the amount of things your character can carry with being over-encumbered causing major problems in movement and slowing everything down, this is especially annoying when playing with a team as you will constantly find yourself waiting for others or them waiting for you so in the end it sometimes feels faster and easier to go it alone. Your characters PIP BOY is where everything can be accessed, along with food, drink and and other aids this is where weapons can be selected as well as even changing the radio station, there are a few stations all with old music that really fits the game well! The radio will also show stations that you are close to that can be tuned into for information and quests but you need to be close enough to actually pick up the signal. The PIP BOY is also where you are able to setup and move your camp, the ability to build and setup camp is carried over from Fallout 4 and the good thing is you are not limited to having your base set in one place without being able to move it, for a small fee the base can be moved to wherever you want it. The building system works much like it did in Fallout 4 and can give the player somewhere safe to stay and store your stash finally clearing the constant over- encumbered status. The base mainly protects from you from other enemies, with self defence weapons if you have them, taking them down before they even get near. Something I do really like is the perk system which is now card based! accessed through the PIP BOY players will get a pack of cards, in the pack will be different perk cards. The perk cards can be used to give perks for strength, perception, endurance, charisma, intelligence, agility and luck. Each card will have a star rating and if you manage to get two of the same card they can be combined to give the original card a higher star rating and a slightly higher percentage perk on the card. You will need to carefully upgrade your characters different points for each category though as the maximum points next to the category such as with the strength category being four, this means that my total card points can only come to a maximum of four. The new perk system is a great addition to the game and I feel it really works well as you can now adjust the perk to suit what you are doing at the time. Last but not least Atoms, yep these are the games money grabbing ripoff that games seem to think we all need! Players have the chance to spend real life money to buy Atoms which will allow them to purchase items from the Atomic shop in the games menu which can be accessed from the map and pressing LB. This shop sells a variety of items such as cosmetics for your character or items for your C.A.M.P. The prices are a little on the high side to say the least and beyond greedy! 500 Atoms will set you back £3.99, 1000 Atoms plus 100 bonus ones for £7.99, 2000 Atoms plus 400 bonus ones for £15.99 and a whopping 4000 Atoms with 1000 bonus ones for £31.99!! Yes £31.99!! So surely all the Atoms will get you a fair bit for your money you would think wouldn’t you?! sadly not…. A piece of flooring for your camp will set you back 600 Atoms and this isn’t even bad compared to the Apparel! A bomber jacket for your character is 1000 Atoms! I suppose the only saving grace here is it doesn’t enhance the character stats wise! I don’t understand why developers need to keep adding this to games, well I do $$$$$ but if they need it in the game at least make the prices a little more reasonable! Sadly for Fallout 76 with the way the launch has gone I can’t see the Atomic shop making that much real money anytime soon! Nice to see Micheal Jackson moonwalk again! Ok so the launch hasn’t gone to plan but I really do hope Bethesda do manage to somehow rescue this failing game and they need to do it fast! I will continue to try and stick with it in the hope that after a few more patches it might come to life a bit, sadly I don’t see how they can add enough to ever put this near previous achievements like Fallout 4. I miss the interesting characters and their stories, this wasteland actually does feel lifeless and empty which is a real shame because it could have been so much more and I did honestly expect alot more from Bethesda. If you are going to buy Fallout 76 purely because you loved either Skyrim or Fallout 4 don’t! Bugs and a real lack of life in the game world make for a pretty boring and average experience! The map is an impressive size and can actually be fun to explore with friends but the quests that are given either through computers or robots are uninteresting and lack any real story. The main quest was just a breadcrumb trail of recordings to eventually nothing exciting and the lack of NPC’s with their own interesting stories and quests really leaves a massive hole in Appalachia, not giving the player any sense of meaningful links to any of the stories that are told through robots and computers. Visually the game isn’t great either and the old game engine is really starting to show it’s age as well as performance that at times sees the framerate chugging along at terrible speeds even on the Xbox One X! Fallout 76 needs fixing, there is so many bugs and problems it can really feel like it’s not actually fully released and still in Beta and I really hope that Bethesda stick with it and manages to eventually make 76 a hit but right now it’s hard to imagine where they can even start and if it’s even possible.